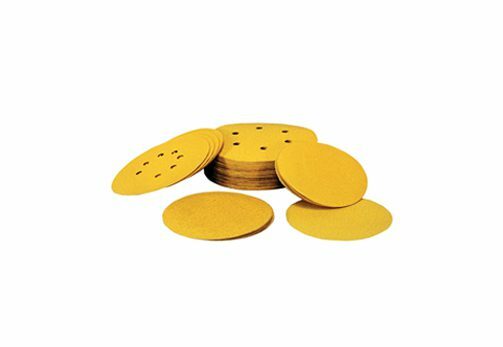 Gold Sandpaper are standard “C” weight paper discs made from aluminum oxide with a non-loading stearate. Like the blue sandpaper, these are ideal for finish sanding on woods, paints, metal, plastic, cultured marble and solid surface. We have Adhesive-Backed, H&L, and hole patterns. These come in grits 20 – 2000.